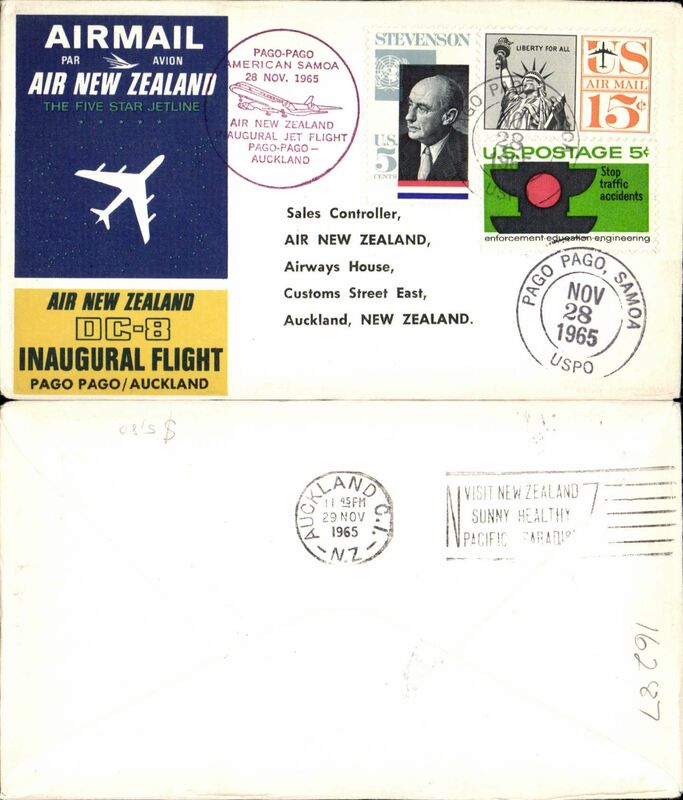 Air New Zealand, F/F DC8, Pago Pago to Auckland, b/s, souvenir cover. 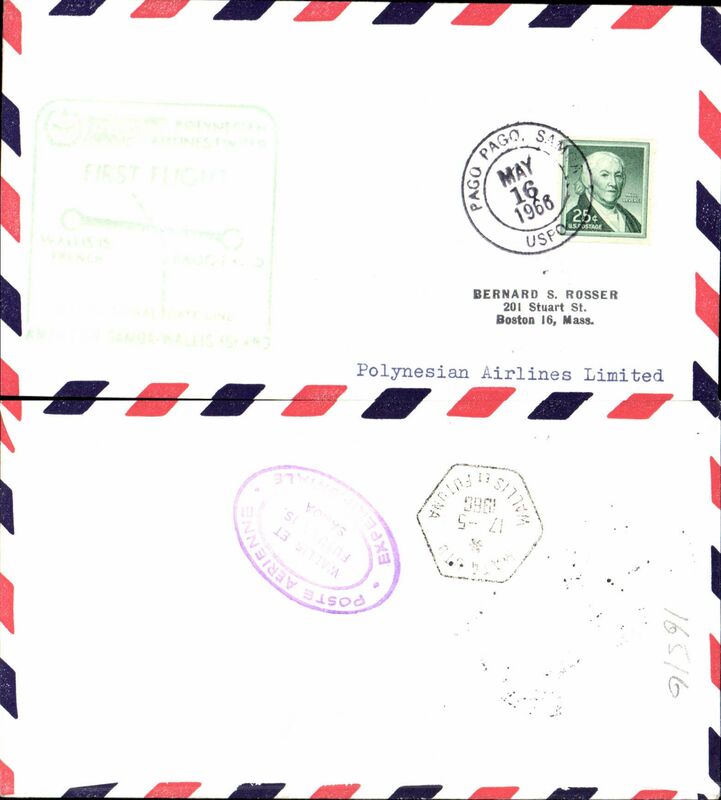 Polynesian Airlines, inaugural flight, Pago Pago to Wallis Island, bs 17/5, green cachet, air cover. 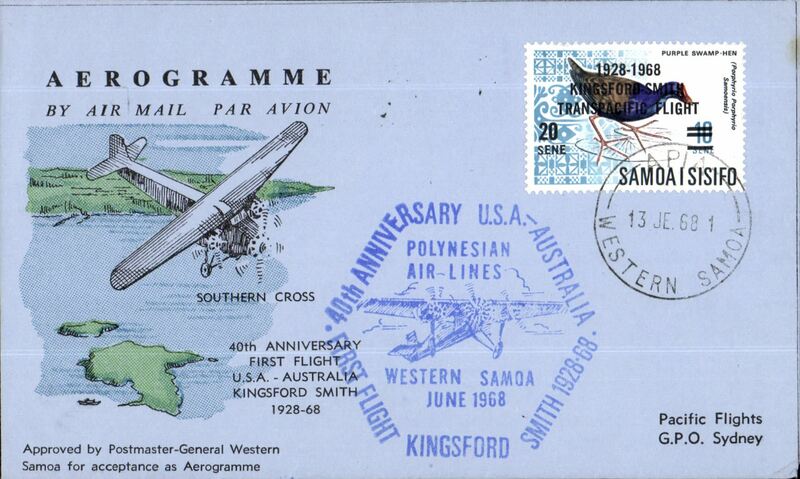 Samoa to Sydney, bs 18/6, souvenir air leyer cmmemorating 40th anniversary Kinsfrd Smth's F/F USA-Austraia 1928, Polynesian Air-Lines. 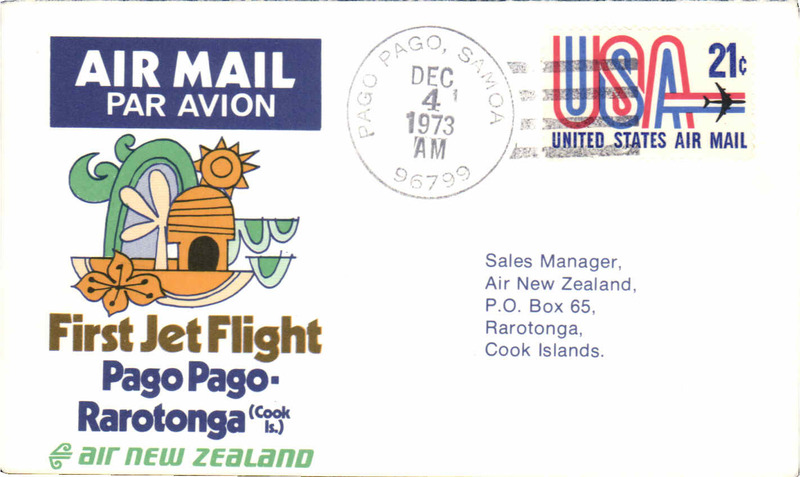 F/F Pago Pago-Rarotonga, souvenir company cover, b/s, Air Nz.